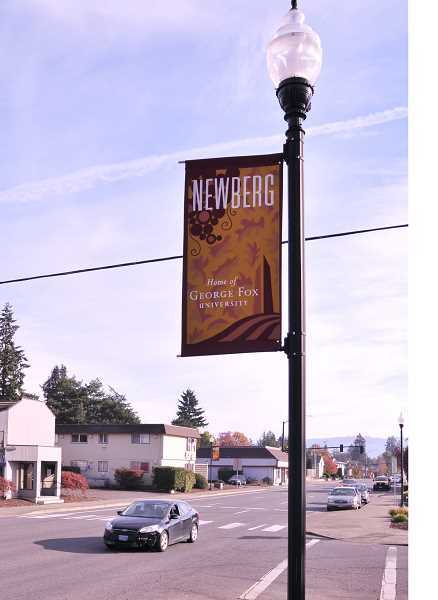 The city of Newberg is looking to start a pilot project involving Portland General Electric which would potentially change ownership of the streetlights throughout the city. Public Works Director Jay Harris said the city owns about two-thirds of its street lights, while PGE owns the rest. He said what Newberg would like to do is convert all its 1,200 street lights to LED lights, and have them owned and maintained by a single vendor, either PGE or the city. Harris said PGE has the resources to do this that the city does not have, such as trucks, equipment and trained crews. Under the pilot program, PGE will maintain the city's LED lights and the poles the lights are installed on. Lights will continue receiving energy service with no monthly charge. According to Hannan's city manager notes, by the end of the pilot, "PGE and City will evaluate if billed maintenance option is mutually beneficial to continue. If so, PGE may create a new tariff option that provides the same maintenance service and includes PGE receiving ownership of the lights and poles at no cost from the city. The next step is for council review and approval, then PGE would seek Public Utility Commission approval." Harris said the city and PGE are still in "really preliminary discussions" about this, although "the ultimate goal is to have one vendor for this." "What does this look like and what are some of the future costs, and how does this benefit Newberg residents?" he said. Harris said the LED lights will be better in the long run no matter who maintains the poles, as they have better coverage, are cheaper to operate and maintain over time. The current lights, he said, are high pressure sodium, which is has been a widely used system for street lights as well as industrial uses.